Today we’d like to introduce you to Shawn Drohan Shaw. 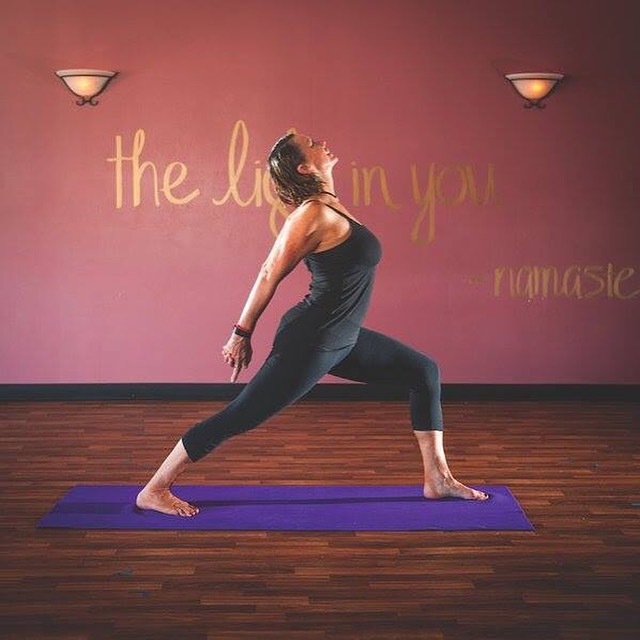 I’m the owner and director of Metrowest Yoga. I was introduced to yoga in 1979 and from the first Savasana (the pose at the end of class that is resting and meditative) I was hooked. The peaceful feeling I felt in that moment made me realize I could find this without drugs or alcohol which have plagued my family for as long as I can remember. I practiced on and off for many years until 1995 when I committed to a regular practice. It changed my life and rocked my world. I began to become more aware of where I was “living true” or being honest with myself and where I “was stuck or hiding. As I cultivated that awareness, I began to move in a direction that was more in alignment with what I wanted in my life and who I wanted to be. I began my career transformation from the corporate “high tech” world to the spiritual yoga world in 2001, right after the devastating 911 attacks. I was laid off from my job as a software engineer, a career I had worked diligently to develop for 23 years. I was devastated and afraid. Both of my parents had died just the year before. Still reeling from that loss, I was in one of the darkest places in my life. I can remember those first few months, feeling so alone and hopeless. I would get up and get my kids off to school, then go back to bed. I’d set my alarm for 2:30 when the bus would drop them off, take care of their needs, school work, dinner etc. and count the minutes until I could go back to bed and pull the covers over my head. Finally, I realized that there was nobody else that could do this for me. I had to get up, brush myself off and get on with my life. I wanted to be someone my kids could be proud of. Instead of going back to bed when the kids left for school, I dragged myself to a yoga class. The clouds began to lift. I started to feel a little less overwhelmed. I began volunteering at an established yoga studio, fantasizing about the possibility of teaching this ancient healing practice but not at all confident that I could. But I had some really wonderful teachers who encouraged and supported me. I decided to try. I enrolled in a yoga teacher training and became certified to teach. I quickly realized that I had found the work I was meant to do and always wanted to do which was work with people on a more intimate level to help them find the peace and wellness I had achieved. My heart soared. After spending years in the corporate world and not feeling like I belonged, this was like coming home. Home to where I was always meant to be. Never having felt proficient in the “high tech” industry, I realized this was something I could be good at. However, I had a lot of work to do. Getting up in front of people and speaking from your heart is daunting and scary. But I knew if I worked hard I could connect with people and become a strong teacher. I took private lessons with some teachers I really admired where I taught to them in order to get their honest feedback. That turned out to be a very wise decision. I learned and my classes began to grow. Having never been involved in running a small business, I didn’t know where to start. But I was determined to learn. I opened a small yoga studio in my home in 2002 and opened my first commercial space in 2005. I’ve made many mistakes and have tried to learn from each. 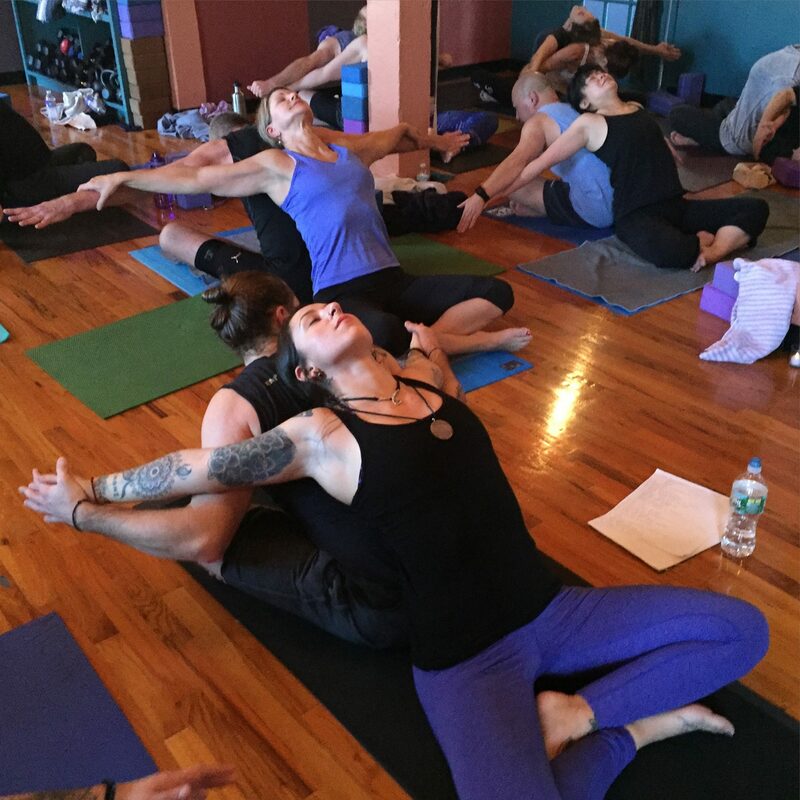 We now have two yoga centers that are thriving in Massachusetts. I certify and teach others to become successful yoga teachers. I’m honored to have been asked to teach at yoga festivals and have lead retreats /training here and around the world. I’ve taught in India, Greece, Italy, Costa Rica and locally here at home. We have hit some road bumps for sure. I got sick and was diagnosed with cancer 3 years ago. I consider myself lucky that although advanced, it is very treatable and the prognosis is good. Not long after I was told that my Worcester studio space was sold and I would have to find another space. That proved to be a really challenging task in this city. We needed a large space that could allow for two studios and unlimited parking. It took a lot of searching and faith, but we landed in a space that fits us better. It’s an in a Mill building like our first studio in Westboro. We are back on our feet and thriving! We have been rated “Best Yoga Studio” many years now in both centers. We have a family of teachers and clients that are really friends and care about each other. 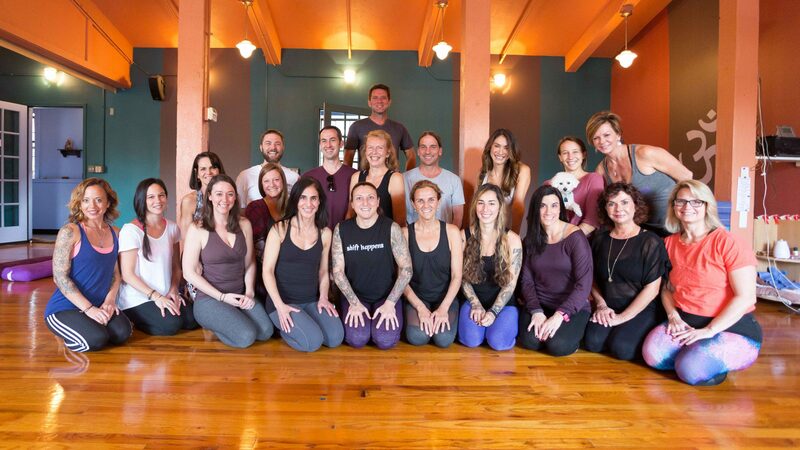 The community is warm and wonderful at Metrowest Yoga. Please tell us about Metrowest Yoga. 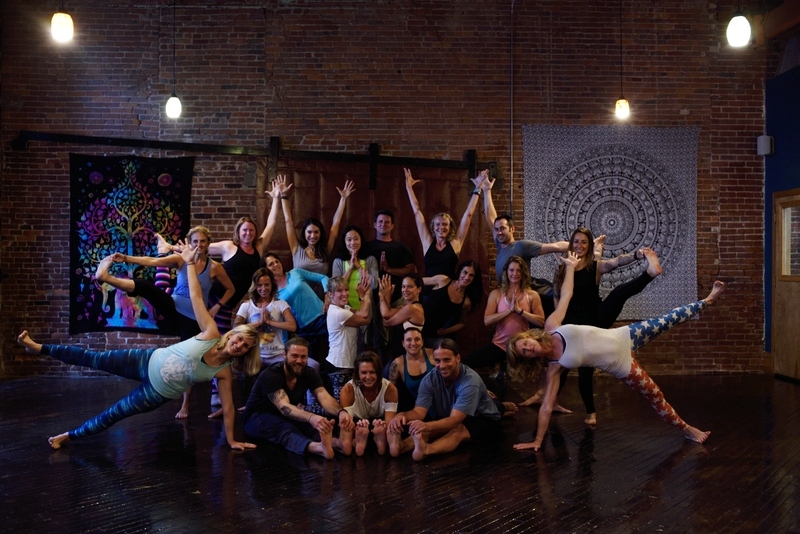 Metrowest Yoga is a family. We have been in business for going on 13 years, but some students have been practicing with me since even before then as I had a studio in my home for two years first. I am the sole owner, but my son has now started teaching with me and has recently taken on the role of managing the teachers. I love that they are part of the business, but truly all of our teachers truly do feel like family. Many of them started as students and went on to study with me to become teachers. The community that we’ve cultivated over the last 12 years is really solid. Both of our centers have that warmth and sense of connection. That was my dream when starting out. To create a space where people could come to get healthy, release tension and stress, leave feeling peaceful and more able to manage their life. To create a safe, supportive and comfortable space where every class delivers. We stay true to the philosophy of yoga and it’s 8 limb path. It’s always been important to me that we honor this ancient healing practice and keep the integrity and intention pure. We strive for this and I’m proud to say I think we achieve it. If I had to start from the beginning I would probably try to get investors. I scraped together pennies, 401K, equity from my home to open both spaces. It definitely made it more stressful for me, and I think sometimes that affected people close to me at work and home. There are many policies that we developed as issues came up, that led to mistakes. I would have tried to find information in advance to prepare for these things.